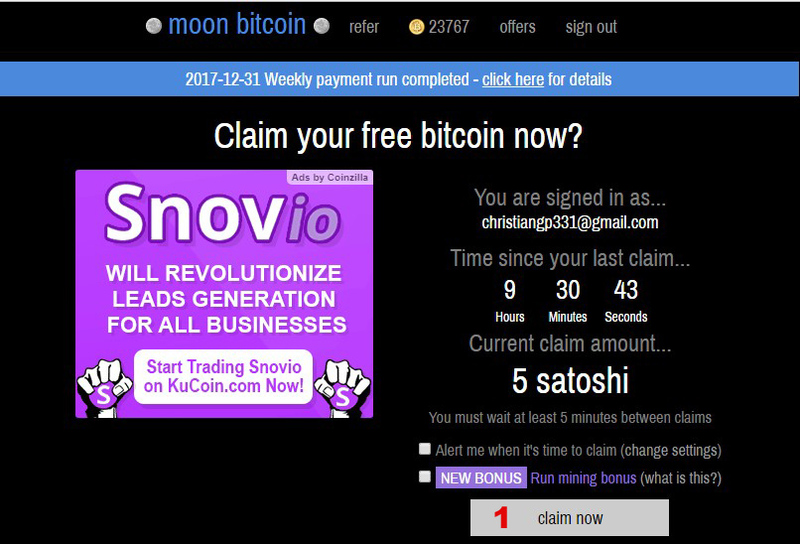 After clicking on the banner you will take us to the MOON BITCOIN website, enter your email and click on SIGN IN. Once we claim our Bitcoin, the following window will open. Daily Loyalty Bonus: We will receive 1% bonus for each day of activity. (This bonus will be lost and will return to 0%, if we have more than 24 hours of inactivity). Referral Bonus: You will receive 1% bonus for each day of activity of your referrals. 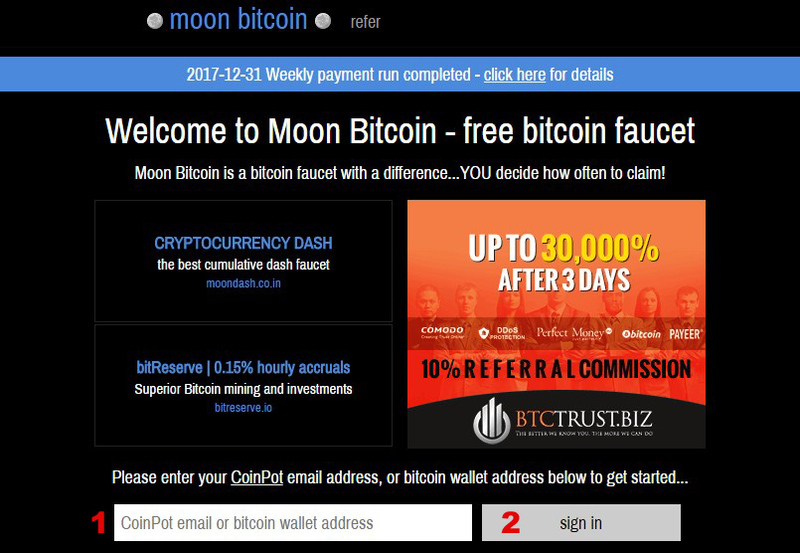 Offer Bonus: For each offer / survey completed in the last 30 days, you will receive a 5% bonus added to each faucet claim you make (up to a maximum of 100%). This is in addition to the amount you will earn immediately just for completing the offer / survey. Mystery Bonus: You will receive a random bonus % for each claim.